We present to our customers a unique and most aesthetically designed range of wooden sofa sets manufactured specially to compliment the decor. We are manufacturer and supplier of wooden sofa sets.Their contemporary designing helps in enhancing the decor of living room and makes it lively. Also the use of high-quality springs and intricate carving work make it a perfect choice. 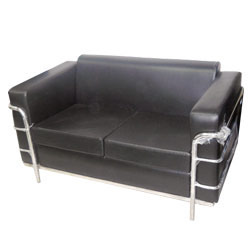 We are a renowned firm engaged in manufacturing and supplying a vast array of Furniture Items and Furnishing Products. Our products are appreciated for their unique design, seamless edges and durable finish standard.